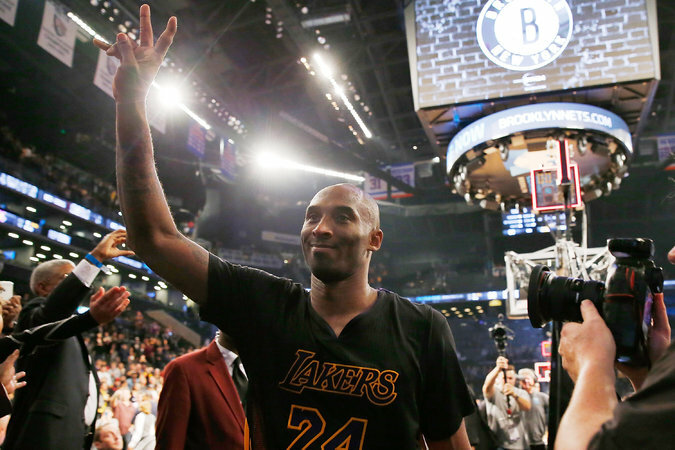 Bryant acknowledged the crowd after defeating the Nets, 104-98, at Barclays Center on Nov. 6, three weeks before announcing he would retire. The students in Nick Twemlow’s college poetry workshop could be surprised this week to be reading the debut work of an enigmatic new voice: Kobe Bryant of the Los Angeles Lakers. Earlier this week, Bryant announced he would be retiring from professional basketball after 20 seasons. But rather than releasing a statement through a publicist or holding a news conference, Bryant revealed his decision in 52 lines of free verse. Slam poetry suddenly had new meaning. The news from Bryant, 37, one of the most famous athletes in the world, shook the professional sports community. But unbeknown to many, it made similar, if smaller, waves in the world of poetry.